Bob Menendez is done. The once powerful chair of the Senate Foreign Relations Committee is now a back bencher, under indictment, and may or may not serve out the rest of his term which ends after the 2018 election. What are the desired characteristics of a successor? He or she should be to the left of center politically to match the sentiment of New Jersey's blue state voting bloc. Our next U.S. senator should be someone who is well-known and well-connected to donors who can provide the necessary funds to fuel an aggressive election campaign. Ideally, he or she should be disconnected from the political patronage machines that are pervasive in New Jersey politics. One such person, who appears that he will have some time on his hands, is the recently-departed host of The Daily Show, Jon Stewart. While there's a lot we don't know about him beyond his television persona, his intellect, wit, and probing interview style demonstrate he has the capacity to join Al Franken as a comedian-turned-statesman in the U.S. Senate. If Stewart decides on a political career as his next life experience, how should he run? As a Democrat? Or as an Independent? 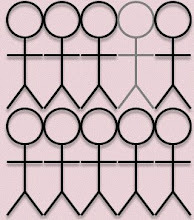 Not being a part of the inner circle of Norcross/DiVincenzo political structure may be an advantage and a disadvantage. He's untainted by the ethically dubious undertakings that are endemic in the state, but we have seen how the bosses mistreat Democrats who don't toe the line (see: Barbara Buono 2013). Running as an Independent has its plusses and minuses too. He would have to build a campaign structure from the ground up and his campaign would be more of a grass-roots Bernie Sanders style approach where social media and personal contact are key. What do you think? 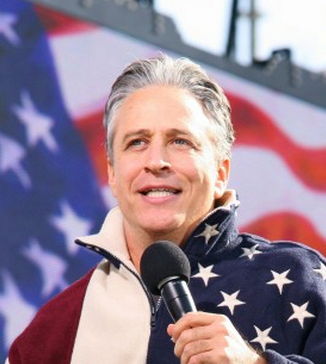 Would Jon Stewart be interested in a political career? Should he run as a Democrat or as an Independent? One thing you can be sure of. With the interest he and his wife have on humane treatment for animals, the pig crate bill would become law instead of succumbing to a governor's veto. Are you on Facebook? Join the Jon Stewart for US Senate community. He certainly checks the "left of center" box. Given that snarky insult won't work so well on the level playing field that is the Senate floor, I am not sure what else he brings to the table. Why not Bruce Springsteen? Christie might actually appoint him.